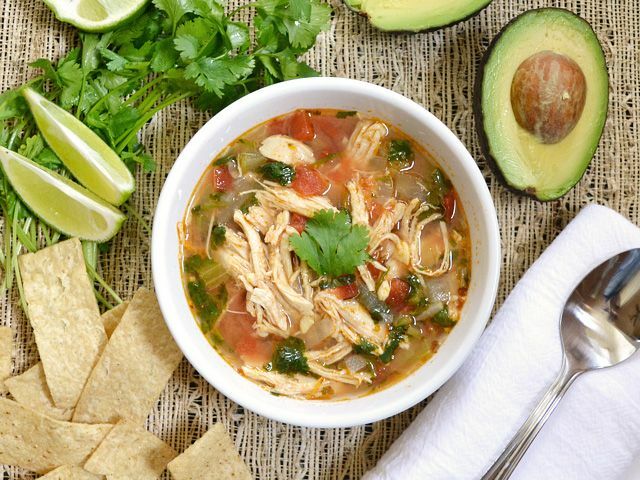 First of all, do you have a chicken/lime/Mexican style soup recipe that you love? If so, please share! Pinterest is chock full of them, but I'd love to hear from any of you who are thinking "you must make THIS recipe and only this recipe!" I'm thinking this soup would make a delicious supper tonight. Next up ... Camille's Halloween costume is far from being ready, but I love the idea of this Spooktacular event this Thursday evening here in Charlotte. She loves balloons, and I think a balloon artist would just blow her mind. 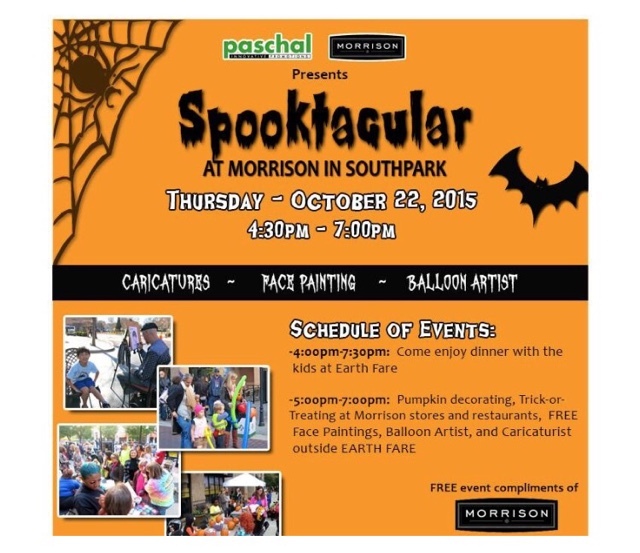 Are any local readers planning on stopping by? 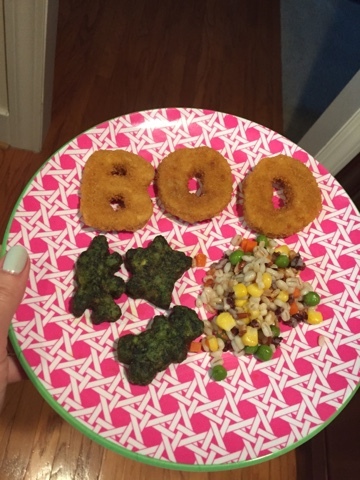 And also Halloween-related, I'm having way more fun than an adult should with Camille's chicken tenders. It's not too late to enter to win the $100 VISA gift card offered on THIS POST. The contest runs through October 31st! All you have to do is share a memory about a unique baby in your life -- your child, your grandchild, your niece or nephew, your neighbor, you name it! Secondly, this Thursday at midnight is the deadline to enter the giveaway for the Aztec infinity scarf from Gameday Belles Boutique. You can enter that giveaway on THIS POST. I ended up purchasing these two items today, but my purchase gets me free shipping through the end of the day, so I may end up seeing if I can knock out any Christmas gifts before the clock strikes twelve! I went with the XS in this one and am hoping it fits! It will look so cute over tights or leggins. I got this for Camille in a 2T for the spring. 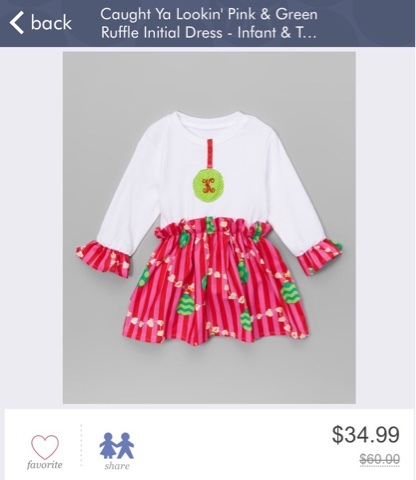 Zulily is an invitation-based shopping site (pick up yours HERE if you haven't joined yet) that features daily sales on great merchandise -- home decor, apparel (mens, womens, babies/kids, maternity), baby gear, toys. + If you are not satisfied with a purchase, let them know. I have had to do this three times for various reasons over the past several years, and their customer service department has been prompt and professional. They are extremely helpful. + Pay attention to shipping times! Sometimes an item has a long lead time on shipping. For example, I was looking at some Halloween-themed apparel, but I noticed that it wouldn't be shipping for 1-2 weeks. That's too close for me to cut it. If you are looking for things that ship fast, there is a "Ready To Ship" category you can select under the "Shop By Category" menu. 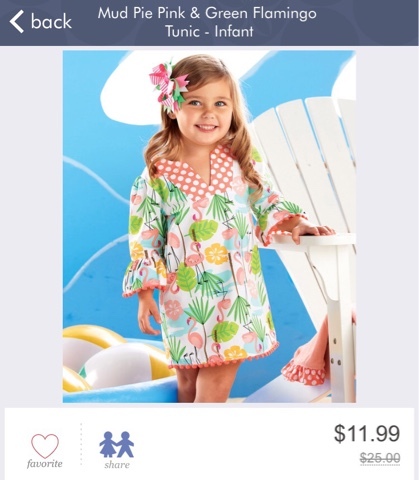 Do you have any Zulily tips to share? Okay, now hit me up with soup recipes! Love those Mudpie outfits! And that maternity dress is really cute too. 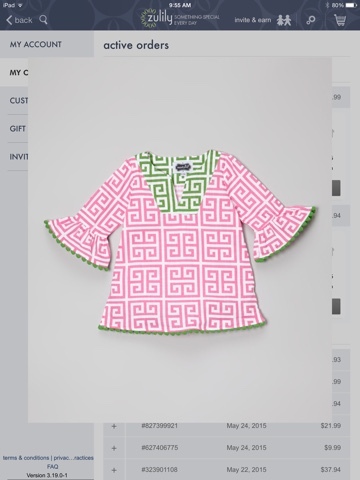 I should really start shopping Zulily. Those Halloween themed chicken nuggets are too adorable!! The chicken fingers are too cute. I don't have a great recipe either but I want that for dinner now! I use the Chicken Tortilla Soup recipe from Weelicious - easy, fast, and delicious! What are those little veggie nuggets? I made Christina's (Carolina Charm) chicken enchilada soup and that was really good! Those Zulilly finds are so adorable! 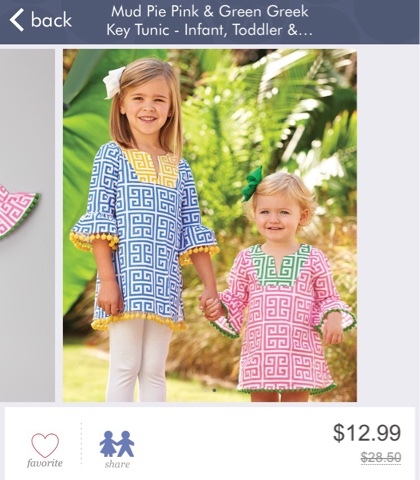 Camille will look so cute in those tunics! Excellent Zullily tips! I go through stages where I order a lot, then will forget about it (for which my bank account is grateful, ha!). Aww Camille's lunch does look so fun!! You're such a good, crafty momma!! & Those tunics from Zulilly!! A-dor-able!! Gah I would/will be in so much trouble if I have a girl!! Thanks for the shipping tips on Zulilly!! I made this recipe: Brazilian Style Fish Stew. It has lime and cilantro and is a stew, but not Mexican...but still spicy and delicious! We have both of those key tunics! Very cute. Love that maternity dress/tunic too- looks like an awesome piece that'll get lots of use!